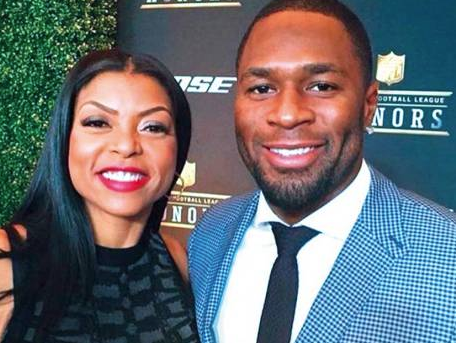 Taraji P. Henson Is Reportedly Pregnant With Her Fiancee NFL Star Kelvin Hayden. Happy 48th Birthday Birthday Taraji!!!! 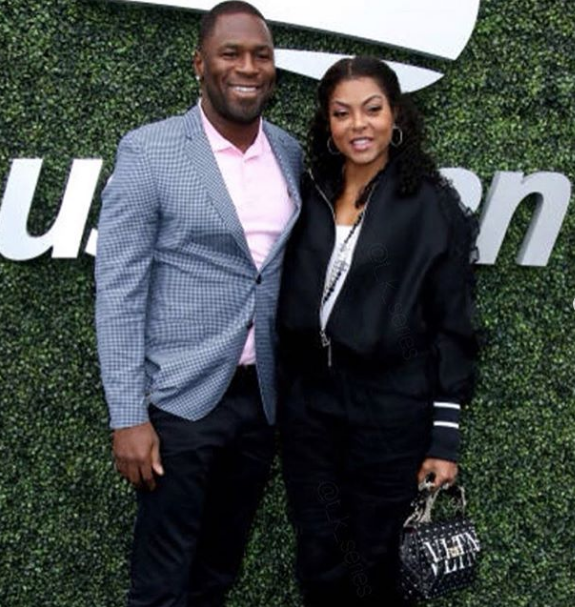 Empire actress Taraji P. Henson and NFL star Kelvin Hayden have clearly been enjoying their engagement. 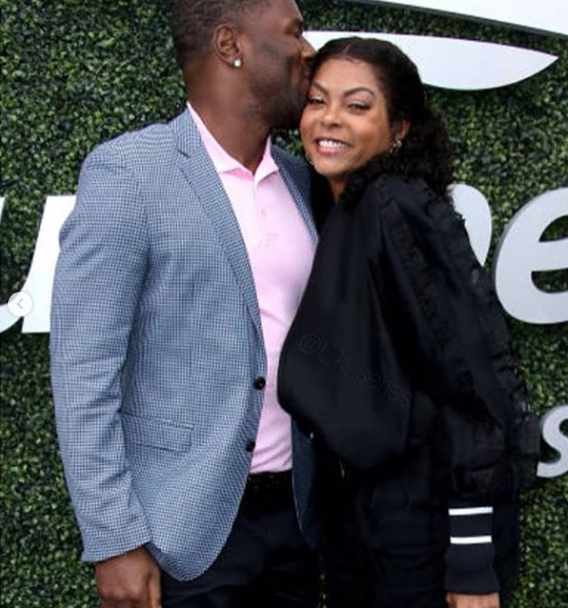 This weekend, Taraji took to Instagram to share the fact that the couple was able to check one item off their bucket list: attending the Us Open. She shared an endearing post featuring her fiancee captioning it, "Just Us living our lives putting checks on our bucket list." 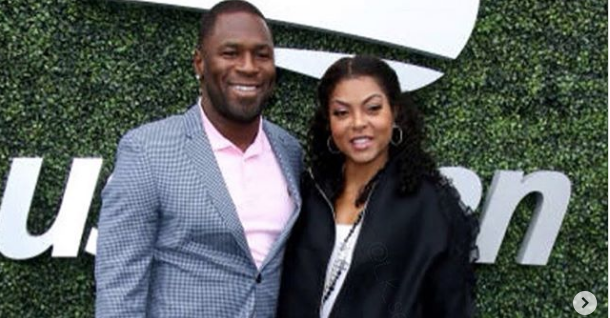 The outing may have seemed like an ordinary day for the couple, but it ended up sparking rumors and reports that Henson is pregnant. According to MTO News, while at the event, Henson's demeanor was giving off major signs that she might be pregnant. The actress apparently stayed free of any alcohol opting not to drink, and her NFL fiancee was particularly doting and watchful of Henson keeping his arms around her through-out. If the award winning actress is indeed expecting, the child will be her second as she already has a 23-year-old son named Marcel Johnson. 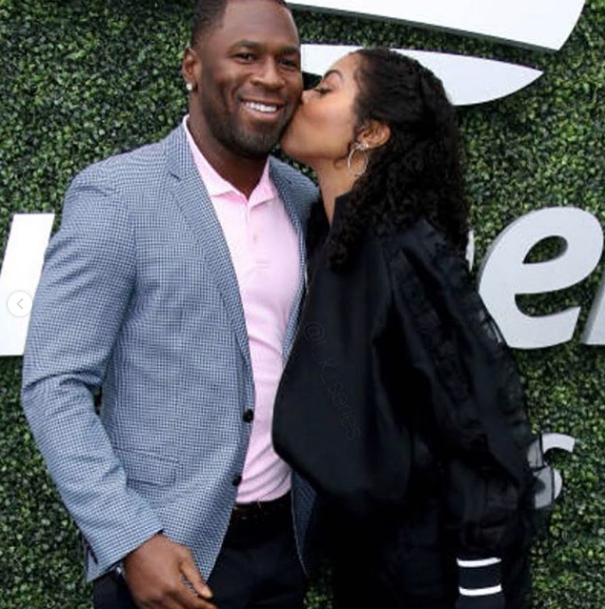 The baby news comes not too long after the former Indianapolis Colts cornerback turned businessman popped the question to Henson in May of this year. The two have shared a whirlwind romance since December of 2017. If This Is True Congratulations!!! 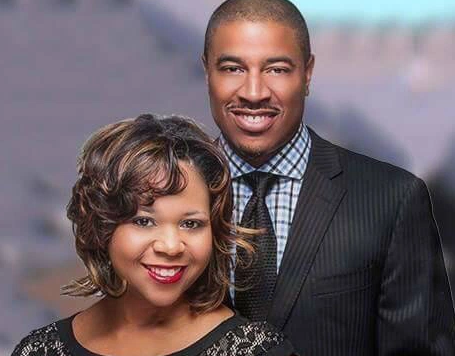 VIDEO ~ First Lady Torri Jones Announced Her Husband Pastor Corey Jones Asked Her For A Divorce. The First Lady Jones of Tabernacle Baptist Church (TBC) in Burlington, New Jersey makes an announcement to the congregation. Her husband, the pastor has asked her for a Divorce. In two minutes she thanks the congregation for their love and support and all of the things she did as the First Lady with young girls and the community. However, he does not want to be married any longer and asked her for a divorce. You will hear grunts from the congregation saying 'The devil is a liar'. 1. The Eileen-Fisher Women-Owned Business Grant Female entrepreneurs who are in need of capital to expand a business can apply for the Eileen-Fisher Women-Owned Business Grant. Eileen-Fisher awards five women with grants up to $120,000. To be considered for this grant, yours must be a woman-owned company that promotes social and environmental change. Your business must have existed for at least three years, and you cannot have earned more than $1 million in annual profits. 2. FedEx Small Business Grant FedEx has demonstrated through its previous grant competitions that it is fair with its distribution of funds to women and men. To determine the winner, FedEx allows the public to vote for their favorite company in the competition. The winners with the most votes receive a $75,000 grant, and they receive free exposure through FedEx’s media outlets. 7 Mistakes The Middle Class Make With Their Money. About half of Americans lived in middle-income households in 2014, according to Pew Research. 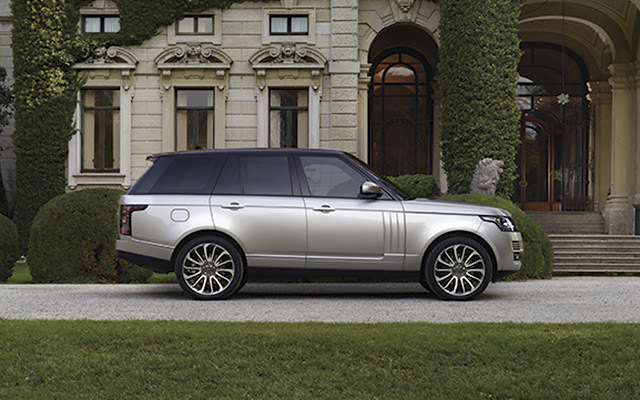 This demographic includes families with incomes between $42,000 and $125,000. The middle class provides and consumes the bulk of services that keep society afloat, driving economic growth and investment with each purchase they make. Most middle-class families don’t have nearly enough saved to retire at age 65. Sometimes we don’t always make the smartest decisions with our money. Here are 7 money mistakes the middle class needs to stop making. 1. Racking up too much debt According to a recent study by the Federal Reserve Bank of Boston, 65% of credit card users carry a balance, which means they are paying interest each month. That money is literally flying out the window. For middle-class Americans trying to get ahead financially, this can be a costly mistake. Remember, the average credit card interest rate is now over 15%! The Steps You Need To Take To Become A FULL TIME BLOGGER. 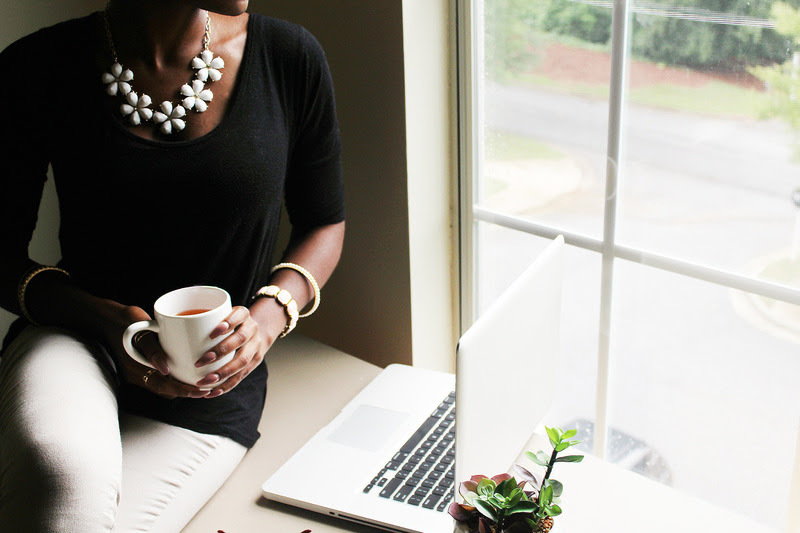 If you’re tired of building someone else’s empire and are ready to take the leap and blog full-time: Here are 7 steps you can take to become a full time blogger.1. Create a PlanCreating a plan is the most crucial step you’ll take in your blogging journey. Since productivity can become quite challenging when you’re working from home every day, it is vital to have a stellar plan in place. The sooner you start looking at your blog as a business the better. Because, truly, it is a business the second you make money. Who is my target audience?What is my blog really about? What's my niche?How much money do I need to quit my day job?What are my blogging goals on a weekly, monthly, yearly basis?And, most importantly, what's my strategy to monetize my blog?